One of the questions that plagues mankind is what happens after death? Is our entrance into the grave simply non-existence or is there something more? Are Heaven and Hell real and eternal places or are they the vain hope of religious manipulators? There is inside of mankind a desire for something more. There is a cry that says, "There has to be more!" If all we do is live for 80 - 90 years and then pass into non-existence everything seems so purposeless and useless. We want there to be more, but does our desire for more come from an inner sense of eternity or is it merely a futile, unfounded hope? There are some who try to suppress this inner knowledge and desire. They try to get others to join them. This is one reason why society is breaking down, especially among the youth. The youth have been systematically trained, through public education, entertainment, etc., to believe that there is nothing after this life. If this life is all there is, then logically, we should try to get all the pleasure we can as fast as we can without much concern for the safety or welfare of others. But they have been lied to. There are consequences for our actions BOTH in this life and in the life to come. Once we pass death's curtain we are locked into our destiny. We will either be in Heaven or Hell forever…no switching…no escaping. It is vitally important that we make the right decisions now. But how can we make the right decisions when there is so much misinformation, conjecture, and down-right lies on the subject? How can we know the Truth? Fortunately, there is a reliable way. The Bible. In every area that can be tested the Bible has been proven 100% reliable; therefore, there is no reason to doubt it in areas that we cannot prove. The Bible has the answer to these and other questions about death and what lies in the world beyond. 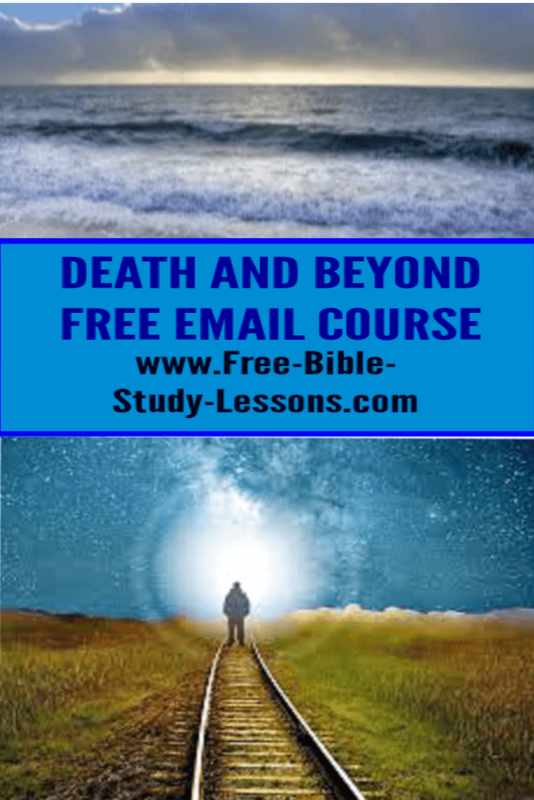 In this course we will study the different kinds of death, the intermediate state [what happens when a person dies but before Christ returns], immortality, resurrection, the Second Coming, the final state [what happens after Christ returns], and the four major Christian views on Christ's Second Coming. To receive your free e-mail lessons click the link below and fill out the form. You will receive the first one immediately and then one lesson every seven days.